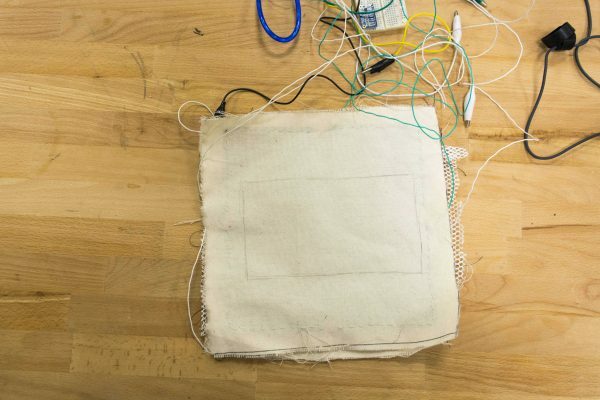 For this project, we designed and built a flexible, fabric based touch pad. 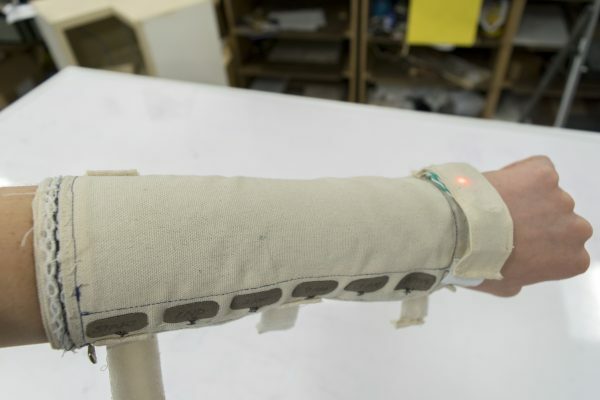 For this project, we set out to make a flexible, fabric based sensor that could be worn on the lower arm and be used to take super short notes. In order to create our sensor, we first did extensive research into the area of soft sensors (the fabritouch project was particularly helpful). After trying several methods for constructing the sensor, we found one that allowed us to write a legible, but short word. When we made the final prototype that could be worn, we made several changes to the sensor intended to address problems we were having. Unfortunately these changes turned out to reduce the accuracy of the sensor to nearly zero. However, the project taught me a lot about how to manage a challenging project and figure out catastrophic errors before its too late. 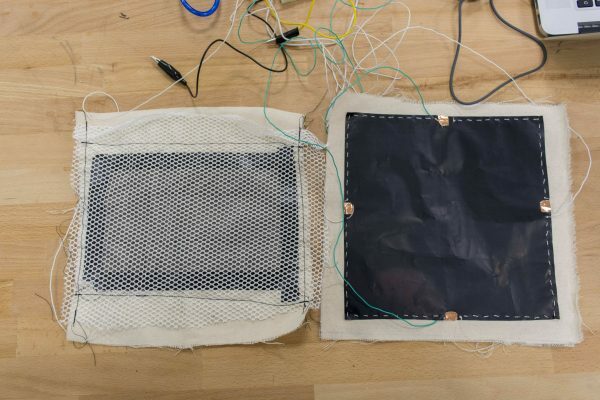 Our sensor was composed of a top layer of fabric, a layer of conductive fabric (that was grounded), a spacing mesh, and a layer of velostat (a piezo resistive material). We then used voltage dividers to measure the resistance from the 4 sides of the velostat to ground. 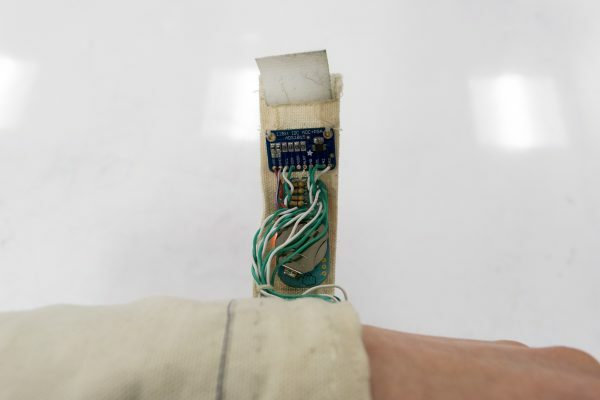 When the user pressed down on the touch pad, the grounded conductive fabric is pushed through the spacing mesh and contacts the velostat beneath the user’s finger. Thus, using the resistances from the 4 sides to that point, the x-y coordinates of the press can be determined. In order to get to this point, we tried several different spacing meshes and many measurement points on the velostat. We also needed to do post processing on the data to filter it and linearize the x-y values. The original documentation for the final prototype can be found here and the original documentation for the early proof of concepts can be found here. For a more complete writeup on our discoveries when developing the sensor, check out this pdf. This was a group project for 60-223, Intro to Physical Computing at Carnegie Mellon University. My collaborator was Rachel Nakamura. We both shared the role of developing the sensor and creating the final prototype.